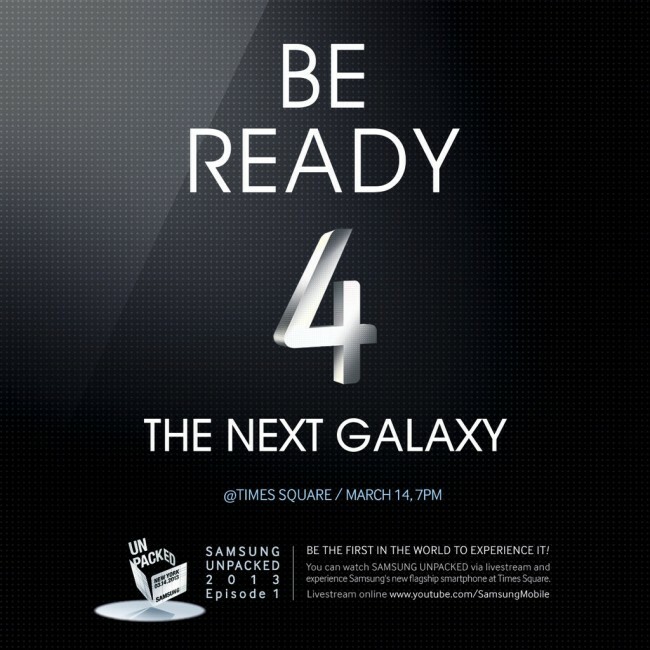 On March 14 at 7:00PM, Samsung wants you to join them in Times Square for the unveiling of the Galaxy S4. As they take the stage nearby at Radio City Music Hall at that same time, they are giving you a chance to experience all that their new flagship phone has to offer. Well, we don’t know that for sure, but since they are streaming the event live, we’re starting to think that they’ll stream the event in Times Square as well. What better way to kick off the launch of the “next big thing” than by going all out in one of the most famous advertising spots in the world? Can’t wait to see what they have in store.